INDIANAPOLIS — For a while, the Coach of the Year vote seemed like an easy one. Or at the very least one with just a couple of choices. There was Mike Malone, the grinder, the Nuggets coach who has steered Denver from out of the postseason mix last season to within shouting distance of the No. 1 seed in the West in this one. Credit the Nuggets front office for identifying the likes of Nikola Jokic, Will Barton and Monte Morris. Credit Malone for developing them. There’s Mike Budenholzer, the savant, the ex-Spurs assistant who has rebounded from a disappointing ending to his run with the Hawks to turn the Bucks, a 44-win No. 7 seed last season, into a 59-win (and counting) top seed in this one. Budenholzer has continued to grow Giannis Antetokounmpo’s game while harnessing the wealth of shooting GM Jon Horst provided him with. 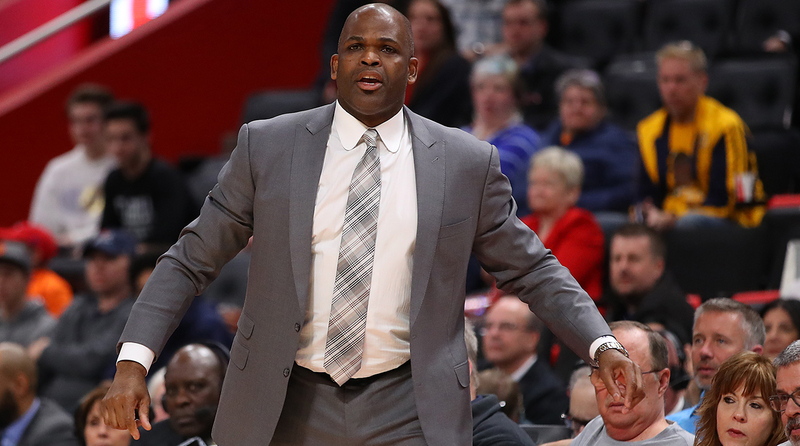 Yet over the last couple of months, another name has entered the mix: Nate McMillan. On paper, McMillan’s Pacers aren’t putting together the type of eye-catching season usually needed for Coach of the Year consideration. Indiana is 47-32, in dead-heat with Boston heading into Friday night’s potentially seed-defining game in Indiana. The Pacers have a rock solid defense (third in the NBA) which covers for an often anemic offense (17th). They shoot the three well and play unselfishly. McMillan’s case, though, begins on January 23rd, with Victor Oladipo lying on the Bankers Life Fieldhouse floor, his kneecap out of place. That moment—Oladipo suffered a ruptured right quad—changed the course of the Pacers season. A team fighting for a top-three seed would be lucky to stay in the playoff mix, some said. A team that gave Cleveland problems in the first round of the playoffs last season would be the one everyone wants to play in this one. McMillan’s impact on the post-Oladipo is multi-layered. There was his ability to keep the team focused in the aftermath of losing its only All-Star. SI’s Rob Mahoney has a neat note in his recent mag story about how GM Kevin Pritchard addressing the team the night Oladipo went down, reminding the Pacers that they had a pretty good record without Oladipo, even outscoring opponents by five points with Oladipo off the floor. But day-to-day, it has been McMillan, pushing these Pacers to believe they could win without Oladipo. Then there is how they have done it. “We hit the reset button,” McMillan said. Bojan Bogdanovic has been empowered; he averaged 15.6 points in January and 23.1 in February, and since the All-Star break he has scored at a 22 point per game clip, sprinting off ball screens at a much higher clip. Thaddeus Young has increased his role as a playmaker. Domantas Sabonis is a walking double-double off the bench. They cut hard, are aggressive in the passing lanes and rely on a physical defense that is more likely to plow through a screen than switch on it. Even when they lose, they rarely get blown out—18 of Indiana’s 32 losses this season have been by ten points or less. Everywhere, opposing coaches remark about the effort Indiana brings each night. It’s funny, I never looked at McMillan as an elite coach. He had a decent run in Seattle, leading the Ray Allen/Rashard Lewis-led Sonics to the second round in 2005, backed by the NBA’s No. 2 offense that season. He guided Portland out of the “Jail Blazers” Era, but never took that team out of the first round of the playoffs. Even his elevation to head coach in 2016, replacing Frank Vogel, felt like an uninspired choice. McMillan’s play calling could be maddening—how many times can a guard back up to near the center court line and charge toward the rim?—and his offenses overall seemed to lack creativity. But McMillan has been terrific this season. Sure, Indiana remains the team everyone wants to see in the first round. A 4-10 March, highlighted by a ten-game road losing streak, made playing the Pacers that much more appealing. Boston, I’m sure, is thrilled that after a trying season they will get the Oladipo-less Indiana in the first round. But McMillan has made sure that the Pacers are a tough out every night, and they will be a tough out in the playoffs, too. Does that make McMillan the Coach of the Year? Is he deserving of being in the conversation?